As the West Bank Palestinian Cabinet welcomes the adoption five new UN resolutions in favor of the Palestinian people, the European Union Representative and the EU Heads of Mission in Jerusalem and Ramallah, Tuesday, condemned the death sentences issued in the Gaza Strip, on Monday, against six Palestinians convicted of collaborating with Israel, according to a statement. A Hamas military court found the six Palestinians guilty of collaborating with Israel, mainly in the botched operation that took place in Khan Younis, in the southern Gaza Strip on November 11, which resulted in the death of seven Palestinians. The commander of the undercover Israeli force was also killed after the operation was uncovered. The EU Missions in Jerusalem and Ramallah recalled, in their statement, their firm opposition, under all circumstances, to the use of capital punishment. The statement said, according to WAFA, that the EU considers the abolition of the death penalty as contributing to the protection of human dignity and the progressive development of human rights. 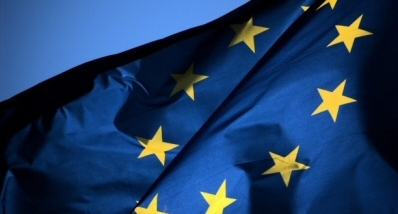 The EU Missions called on the de facto authorities in Gaza to refrain from carrying out any executions of prisoners and comply with the moratorium on executions put in place by the Palestinian Authority, pending the abolition of the death penalty in line with the global trend and following the signing of the Second Optional Protocol to the International Covenant on Civil and Political Rights.